The Knight Shop are the largest stockist of swords for sale in the UK. Our diverse range caters for Reenactors, Historical European Martial Artists (HEMA), Live Action Role Players (LARP), Collectors, Stage Fighters (Theatre) and T.V. producers. We sell an incredible selection of replica swords from throughout history. 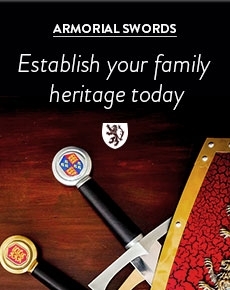 From the Classical Period we offer a range of Celtic, Greek and Roman Swords such as Roman Gladius and Celtic Falcata. From the later Dark Age period we have a great selection of Saxon and Viking Swords and Seaxes. We stock a fantastic variety of display and useable re-enactment quality Medieval Longswords and Arming Swords – everything a Knight would need to get ready for battle! Renaissance era Musketeers and Pirates need look no further than our assortment of useable rapiers and cutlasses. 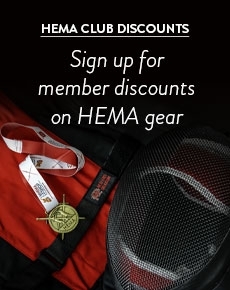 Our range of Federschwerts, Synthetic Nylon Sparring Swords, Padded Swords and more traditional Wooden Wasters are perfect for HEMA enthusiasts. We also carry a fantastic selection of LARP swords to cater for the Live Action Role Player’s needs. If you require a Japanese sword then you will not be disappointed with our range of Katanas and Wakizashi. Perhaps you are looking a little closer to home? We offer one of the best selections of Scottish Claymores, Basket Hilt Broadswords and British Military Sabres in the UK. Our replica swords cater for all budgets. We offer simple display swords (wall hangers), re-enactment quality tempered spring steel swords designed for combat and hand forged museum quality swords for the most discerning of collectors. They are usually available with sharp (live) or blunt blades and many of them come complete with well-made leather scabbards.